It's almost spring and spring makes me think of the colors green and blue like we find in nature. 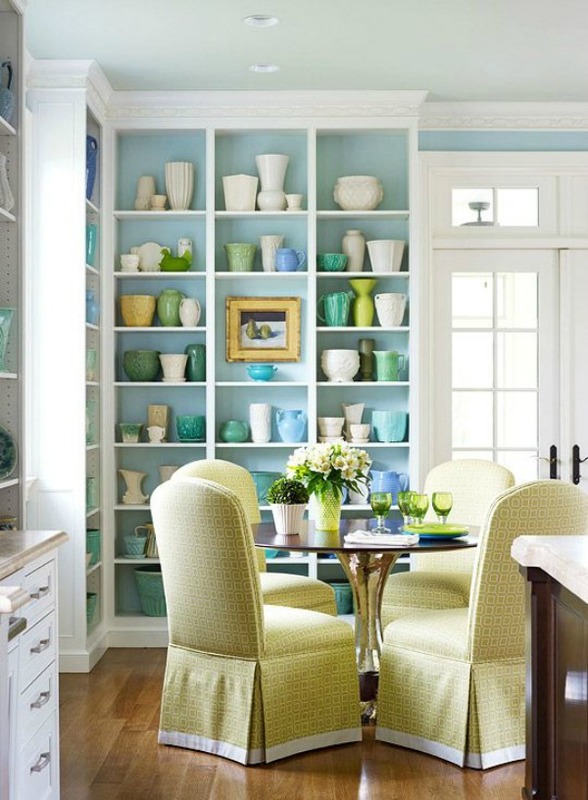 I found lots of inspiration with these beautiful hues used in home decor. 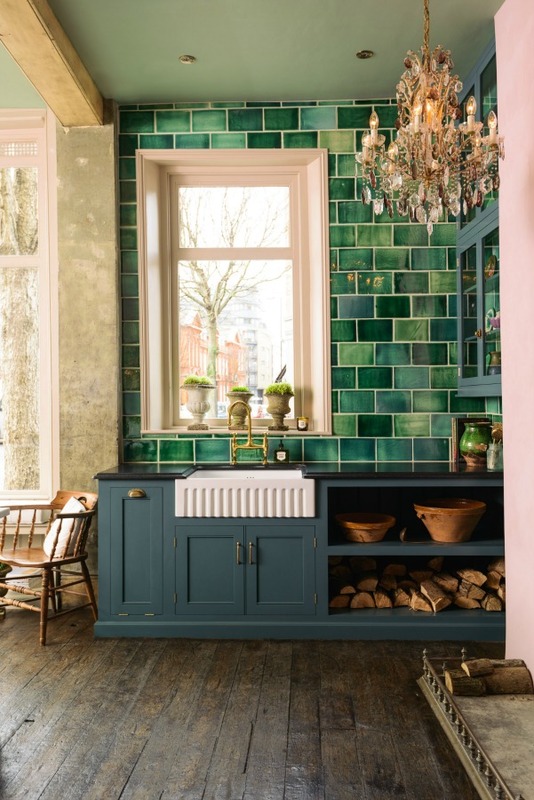 It's so easy to add some of these colors in your home with accessories, pillows, plants, or even paint a room green or blue. 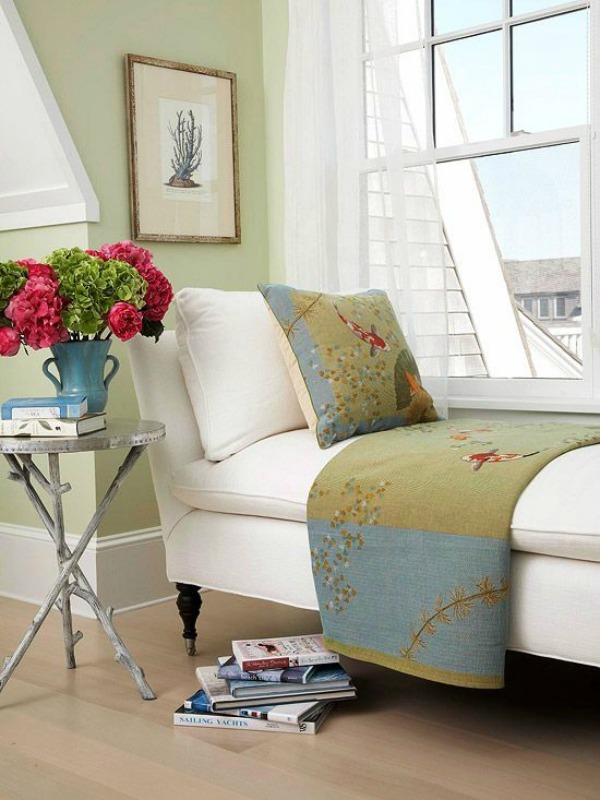 I will share where I have added touches of these colors in my home soon. Beautiful inspiration Kim. I love the color combination. I am getting ready to add some green to my blue master bedroom! Kim, the green doors are gorgeous. 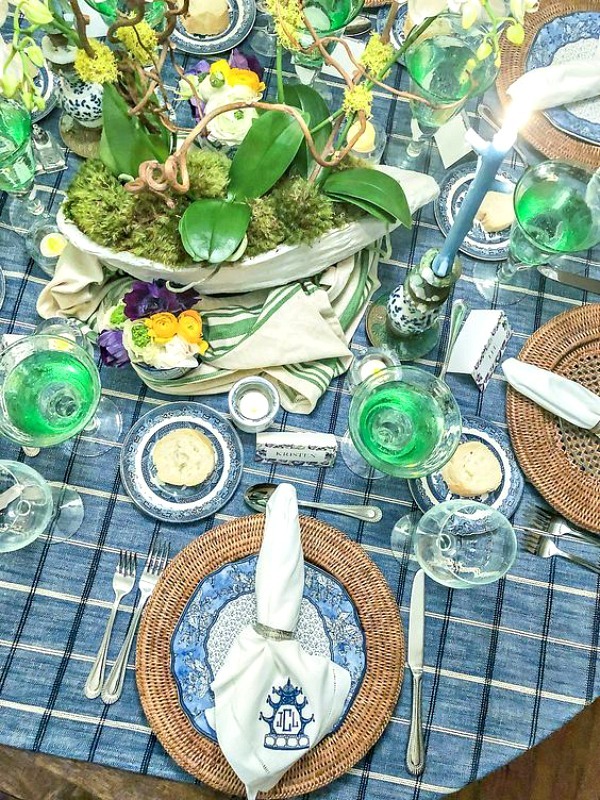 Love the blue/green combination, so pretty! 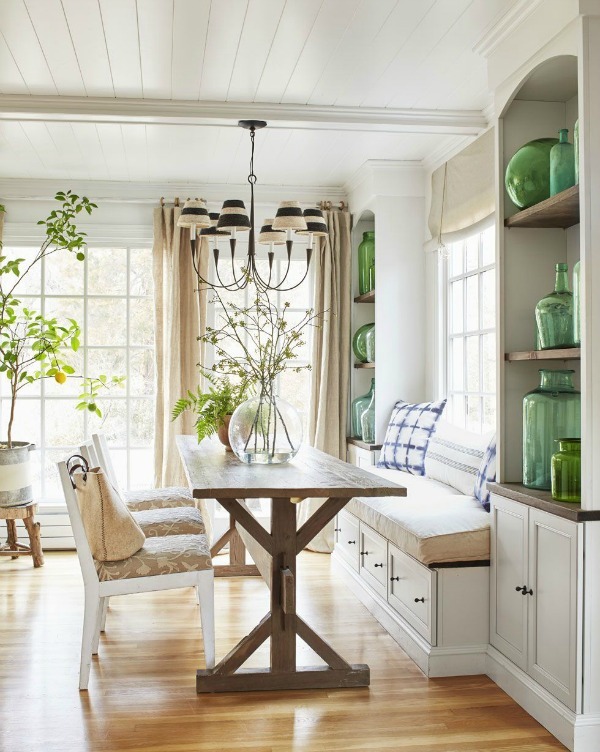 Love green and blue...I try to mix those colors in the sunroom working around my very bright apple green furniture! Beautiful inspiration of these colors here today!!! Two of my favorite colors. Love the inspiration. Love all of these photos and colors used. 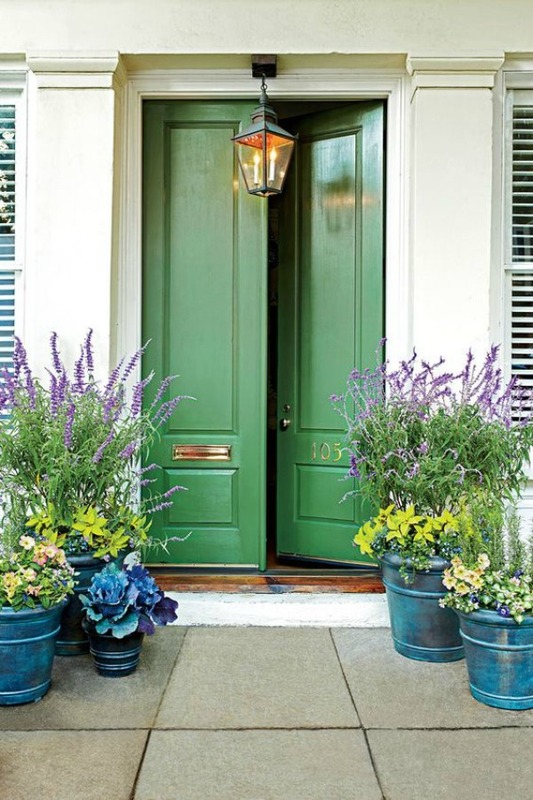 Is there anyway to locate the color green used on the exterior doors? Thank you!! I don't know. It might be mentioned in the Southern Living article. Just click the link under the photo. The photos are very inspiring as green and blue are two colours I enjoy using in my Cottage.